Here you can find interesting projects designed with Dlubal Software programs. If you want to present your projects on this page, please send us the relevant project data and we will reward you with a purchase coupon. In addition, we link the project from our well-ranked website to your homepage. You can download the collection of interesting projects designed by Dlubal Software programs in a PDF file under the following link. You are very welcome to present your project on the Dlubal Software website and benefit from this. Steel frame structure consists of double-hinged and built-on frame canopy as well as glass roofing. The following data refer to the reinforced concrete structure of "Woodcube". The 5-story residential building with an impressive ecological balance had the opportunity to be presented at the International Building Exhibition (IBA) in Hamburg, Germany. 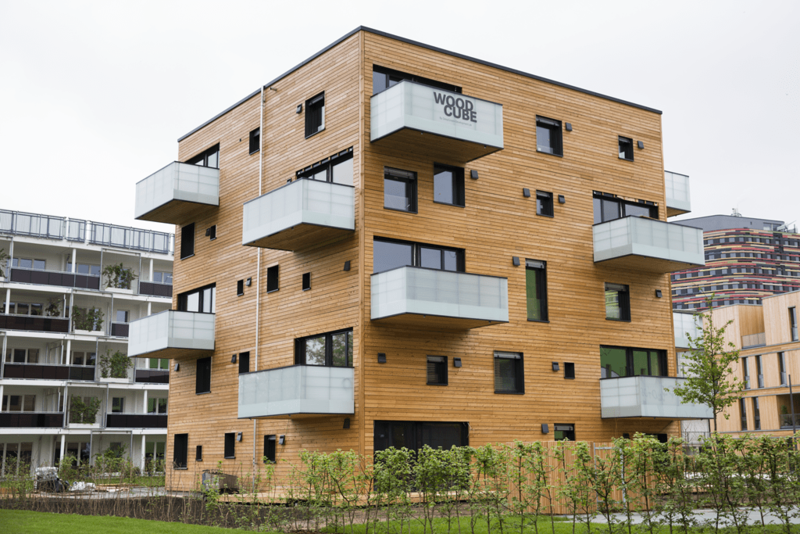 Being CO2-neutral in both its production and operation, the Woodcube's energy level corresponds approximately to the one of a passive house. Any material used in the timber cube is completely recyclable and biodegradable. 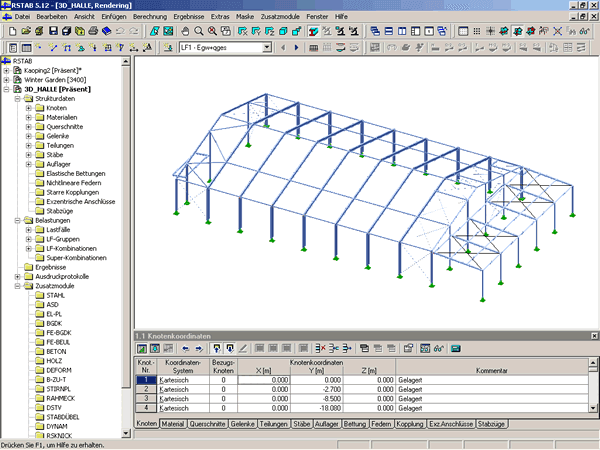 The customer of Dlubal Software, Isenmann Ingenieure from Haslach was in charge of the structural planning. The calculation and design of the central access core and the pile foundation made of reinforced concrete was carried out in RFEM.